First of all – if you are creating an earth-like, M-class scene, the best thing to do is simply to observe nature! Go outside and look at the way trees grow in a forest, the way moss grows only on one side of the tree, the colour of lichen on rocks. Of course – if you live in the city or if the scene you wish to recreate in inaccessible to you (A beautiful tropical island for instance!) then try browsing for a suitable picture to work on from the internet. (Note: If you are creating an alien weird-scape and want reference pictures – try looking for the NASA website, sci-fi film sets or unusual places on Earth, such as crystal-filled caves or the ocean floor). 1. At the bottom, the bedrock, or foundations – upon which everything else rests, and surface rock – whether they be cliffs, or rocks at the banks of a river. 2. And above the foundation, the organic plant life (flora) of your chosen climate. 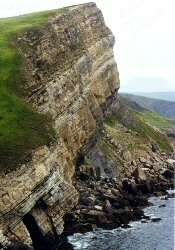 Above: Layered sedimentary rock (Primarily limestone). It is at an angle due togeological upheaval, and at the base of the cliff we see evidence of erosion in the fallen debris. 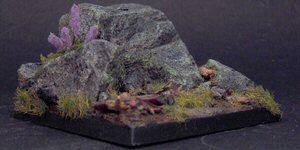 · Your first question, when creating a rockscape, or the bed-rock for something else (Such as a cliff face) should be – will the rocks in my scene be Igneous, Metamorphic or Sedimentary…? 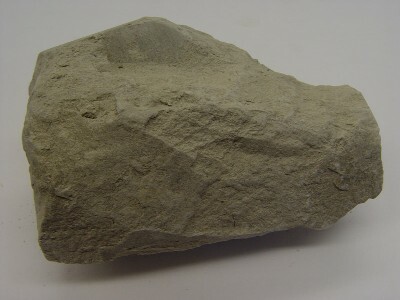 In other words – have the rocks been created from the liquid minerals of the planets insides (Igneous), have they been changed from one kind of rock to something new by pressure and/or heat (Metamorphic) or are they composed of the remains of long-dead flora and fauna or the weathered particles of other rocks (Sedimentary). 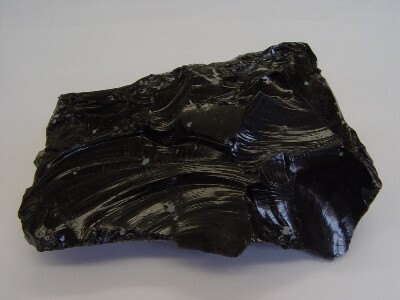 Obsidian - A black, glassy rock with fracture edges so sharp it is used in surgery! Pumice – Created during a volcanic eruption – Pumice is filled with thousands of holes, like sponge – caused by the creating of bubbles within the liquid rock as it ejected into the atmosphere. A realistic pumice effect can be achieved by partially melting polystyrene with a solvent – but just enough to create holes without collapsing the whole structure. 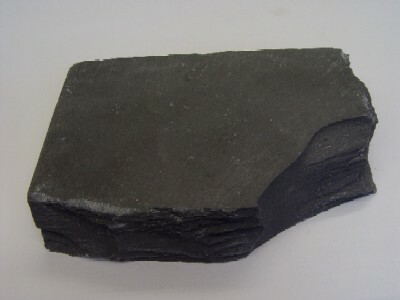 Slate – Slate is the metamorphosed (Changed) form of shale, which has been compressed. It is similar in looks, but fractures and weathers differently. 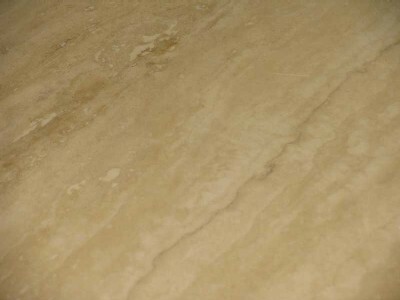 Marble – Marble is the metamorphosed form of limestone – and looking at a good example will show the extreme heat and pressures exerted on the rock as various minerals within it became liquid and started to warp. Sandstone – Composed of millions of particles of sand (itself weathered quartz) which have been cemented under pressure, sandstone can be a variety of colours, from beach sand yellow to a rusty iron red – this is due to the “bleeding” of minerals above the sandstone. Sandstone is also easily weathered by both water AND wind – sometimes forming incredible structures. Limestone – Limestone is created from the bodies of countless billions of dead sea creatures, shells, exoskeletons, and bones can all be held within. Most cave systems on Earth can be found in Limestone formations, which are weathered by water picking up acidity from the atmosphere and running through minerals in the soil. Those are a few of the more common types of rocks which can be found, but to go through them all, their myriad colours and shapes would take far too long – for more examples look online. 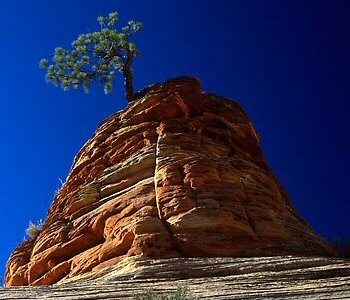 · The next question to ask yourself is how weathered will my rocks be, and what has weathered them…? 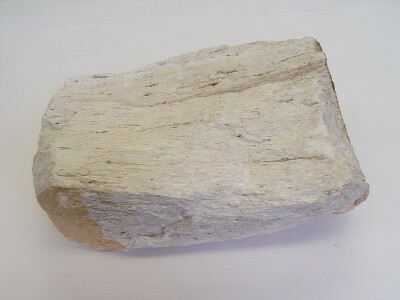 Different forms of weathering have different effects on rocks, and then the type of rock itself will also be affected differently. This comes down to a number of factors (I will only name a few!!). The hardness of the rock (Represented by the Moh scale of hardness – with Talc being rated 1, Quartz 7 and up to diamond at 10). The rock’s pH (For instance, Limestone is mainly alkaline and therefore easily dissolved by acidic rainwater). The crystalline structure of the rocks and any minerals within (This dictates the way in which the rock fractures – whether is edges are curved and shape like obsidian or dull and rounded like sandstone). So you must decide whether your surface has been eroded by falling rain, a running river, acid or alkali chemicals, wind, or physical processes (such as people walking on it). Erosion by water is caused either by the water having dissolved chemicals and acting chemically with the rock, running water carrying suspended particles in it which act to wear down the surface, or by the continual gathering and freezing of water in cracks of the rock (As water is unusual in that it expands when frozen). The best example of this type of erosion (Suspended particles) is a glacier – a huge frozen river moving at Millimetres Per Hour. Although the process can take millennia, due to it’s weight and momentum, glaciers can carry enormous boulders within which a river could never hope of moving without first eroding those boulders down into smaller rocks. Consequently a single glacier can wear out huge gouge in a landscape – and a peculiar feature of glaciers is the placing of these huge boulders called “erratics” once they have melted. 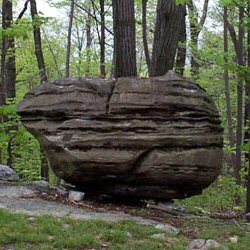 This can result in huge rocks being found is places where there are no other similar rocks. However – due to the scale of our scenery, most of us will only be modelling small rivers or lakes (Although this might be an interesting idea for epic modellers). Above: Here is an enormous glacial "erratic" - a rock whichhas been transported by a glacier. Nb. One thing to remember with rivers and running water of any kind is that the course will always follow the path of lest resistance – this is what causes the winding of rivers, and the slower the river, the less straight it’s course. This means that rocks and other suspended particles in river water will be deposited in areas where the water flow is slower and has less force with which to carry them – therefore large rocks can be deposited on the inside or outside of a curve, but smaller rocks and beachy areas are more likely to be on the inside. In this way it is possible to decide how to distribute your rocks and sand when basing your water courses or dry river beds. Start with laying a layer of fine “sediment” all along the course of your river – as these particles will be distributed everywhere along the river’s course and held suspended in the water itself. Then start placing your largest rocks (With the more rounded sides facing the flow of the river as the water has worn down this side). Gradually start placing the smaller rocks along the course, using the description above to decide where they are more likely to end up. Above: The winding course of the river Forth. As seen by the surrounding topography,the land is quite flat, resulting in slow moving, meandering river. In time, the erodingaction may result in the formation of "oxbow lakes". The chemical erosion of rock is a more straight forward process to model, as you don’t need to worry about water physics or where to place different rock sizes – the chemicals tend to erode the surface of the rock evenly rather than breaking pieces off – although if the chemical pools in areas where the surface is already eroded or weakened, this is where things like caves start to form. Of course, anyone who has seen stalactites and stalagmites in a cave will know that water can be formative as well as destructive – minerals dissolved in cave water forms these peculiar “icicles” of rock – which can be almost any colour, along with crusts and veins of crystals. 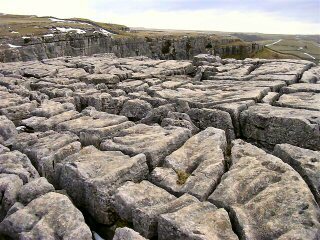 Above: Limestone pavement - the erosion of limestoneby rainwater becoming acidic. Potholes and large caveformations can be formed beneath. Freezing water can exert great stress when formed in the tight cracks and crevices of a rock, causing rock to splinter and literally break apart from within. This process is similar to the erosion caused by running water, in that it is not the wind itself which causes the erosion, but tiny particles suspended within it – ask anyone who’s been unfortunate to have had any uncovered skin in a sandstorm! The wind is not as restricted as water, and when it meets an obstacle, it is able flow over and around in all directions, where a river may not be deep enough to do so. 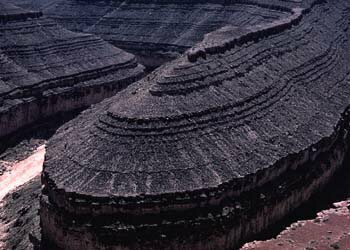 The huge mesas in Colorado are formed by the wind erosion of millennia, and a feature of wind erosion is the smoother surface of the eroded rocks. This is due to the fact that wind is less dense than water and therefore requires a much greater force to suspend particles – consequently the particles are usually lighter and/or much less dense than those suspended in water. Glaciers are the roughest, most erosive sandpaper. Rivers (depending on size, depth, speed etc) are a less course paper. And winds act something like emery paper, with a fine coating. Rock formations created by wind erosion are best represented by dense polystyrene or foam cut with a hot wire cutter. 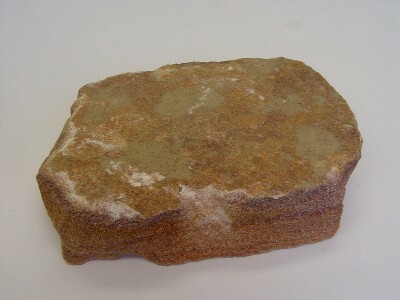 Above: A sandstone mesa, the redness is due to iron oxidisation. This form of erosion only happens in areas which experience extremes of temperature – usually desert areas, where during the day there are very high temperatures, causing the minerals in the rocks to expand, and freezing cold during the night, causing the minerals to contract again. This cycle eventually breaks the bonds within the rock, causing the outside layers to crumble and fall off like the skins of an onion – and in fact causes a very distinct appearance. Above: The freeze-thaw process on a grand scale! This form of erosion is very similar to erosion caused by water freezing in a rock’s cracks (See above) in that there is physical pressure exerted within the rock itself – except this pressure is usually due to the roots of flora (plant life) forcing themselves into these cracks in their search for water. It is not unusual to find partially calcified tree roots hanging from the ceilings of cave systems like strange, organic stalactites. 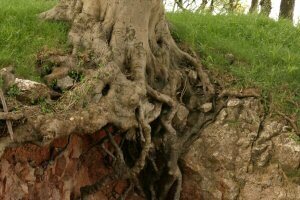 Above: The rocks have been split asunder and fracturedby the roots of the tree. Mechanical erosion is when a surface is worn down by constant physical pressure, such as a regularly used path being worn by travellers’ feet (Or wheels), or in the case of the 41st millennium, the rain of 1000lb high explosive shells and armour piercing rounds turning the ground to mush (Look online for anything about conditions during trench warfare in WW I for this). This is probably the easiest form of erosion to model as it is easy to see where the erosion will be as if you are modelling a path then it will slightly lower than the surrounding ground, and needn’t necessarily follow the “path of least resistance” maxim, as hard rock can be blasted or tunnelled through. Above: This base depicts simple slate/shale shards, they look particularly realistic, due to actually BEING broken shard of slate :P They were merely broken into the right size, arranged and superglued straight to the base, where they were sprayed black and drybrushed the relevant colour. 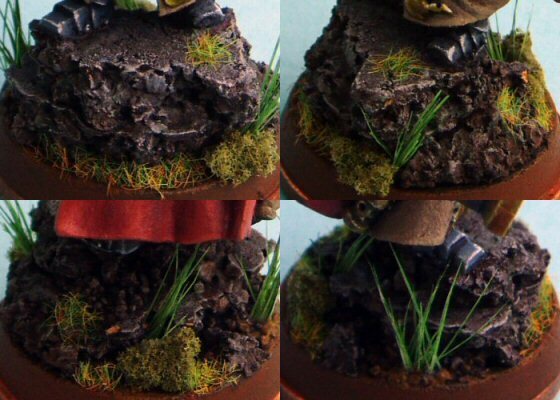 Note- The green areas in the first picture is not mean to be staining or moss, but part of an OSL ligthing effect. 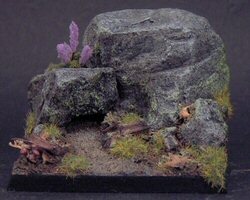 Above: This base depicts a dry river-bed or desert. There are few ways of acheiving this effect, and this particular version was created by covering the base with a thin covering of watery plaster. Once dried, I simply used a sharp point to score cracks into the plaster until it was covered. A thin sprinkling of fine sand and it was ready for undercoat. The base coat was simply straight snakeskin leather, and gradually lightened with progressive drybrushings of snakebite:bleached bone mix. Above: This base was created to depict heavily cracked and eroded limestone.I created this effect by breaking off two appropriately sized pieces of thin cork board (Keeping smaller pieces as rubble).Once glued together with PVA, I simply used a sprinkling of fine sand at the bottom edges to represent smaller rubble.Once undercoated black, they base caoted with scorched brown and progressively drybrushed with a codex:white mix.I then stained the cracks with green and brown washes. Above: This was a base created by Lizcam, who wanted her formation to appear to be granite. 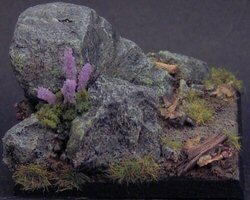 "I used 4 different pieces of rock, all yellow limestone... I superglued the rocks in the formation I wanted & then used green stuff to both hold the rocks better & sculpt the natural flow of the ground... I then used PVA glued some fine sand over the whole portion of the base. Then I added 2 layers of sand over that, one large grain and 1 med grain. Then a sprinkle of fine sand over that..."
Above: This STUNNING desert piece was created by Team Toulouse (www.teamtoulouse.com) for theupcoming game Alkemy (www.kraken-editions.com) and can be found in the CoolMini gallery underwww.coolminiornot.com/155140The creators have made their terrain very convincing, with mesas, sandstoneplateaus and appropriate vegetation - pratically photo-realistic in my opinion. So we've gone through the physical geography, or geological aspect of creating your landscape, now we can start to think about the biological side. It is easy to see the way that flora is affected by it's surroundings just by thinking about the varying climatic conditions on Earth. (Of course, for scifi flora, you may have to use your imagination a little more)For example, Jungle plants are generally found in warm tropical areas, and are unlikely to be found growing in Arctic tundra!So first of all, when considering the use of flora, we must first think about the climate and local weather conditions and other factors which they would be subject to, and which plants would best suit those conditions. The best way to do this is to know a little about the way plantlife has evolved and adapted to suit these conditions.Biologically speaking, all life needs to be able to derive energy from somewhere, in order to survive and reproduce and differing species of plantlife go about this is different ways - either through photosythesis, the conversion of sunlight to energy, the uptake of minerals in the ground, parasitic or symbiotic relationships with other plant or animal life, or a combination of these to name but a few.So firstly, let us take a brief look at how some species have adapted to varying climatic conditions.Cold conditionsLet's start with the plantlife found in the coldest conditions, such as the Arctic tundra and windswept mountains; plants that grow here need to be able to survive extreme cold, and possible low levels of both sunlight and (liquid) water (Due to it freezing).When looking at the kind of plants that survive in those conditions here on Earth, we can see that they generally don't get very tall, due to the limited resources.Therefore, trees and tall bushes are not sustainable in such a cold environment. Vegetation is limited to grasses, shrubs, sedges and lichens. In summer months, when some of the groundwater thaws, large areas become sodden and marhsy, In these areas, mosses and swamp plants thrive.So let's have a look at some of those plants and see how we could best model them. 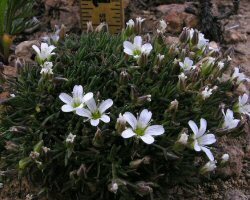 Above: This particular vegetation has small white flowers, And might bemodelled with clump foliage with small dots of white paint to represent the flowers.General grassy/gorse areas are probably best modelled by using poly fiber.